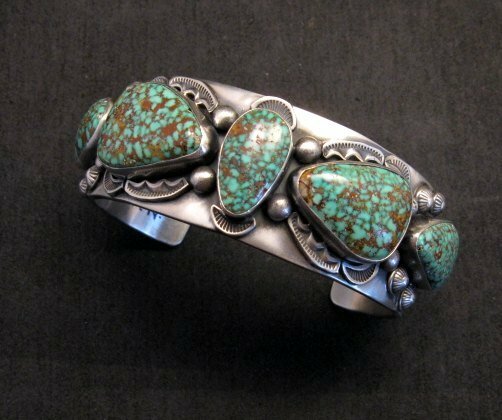 Here's a top quality heavy Native American Navajo handmade sterling silver cuff bracelet with 5 natural Turquoise Mountain turquoise stones created by silversmith Anderson Parkett. 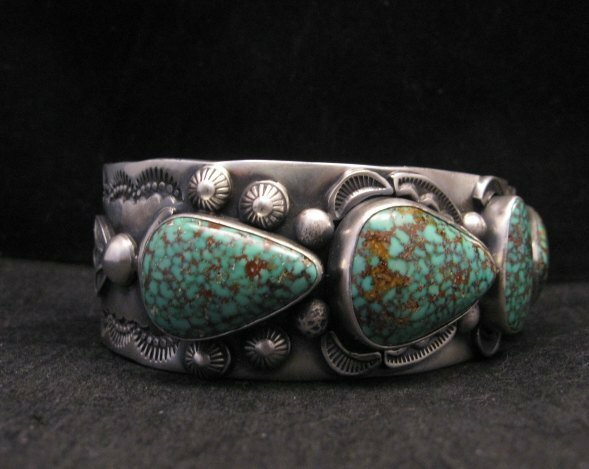 The bracelet has a beautiful brushed finish to it. 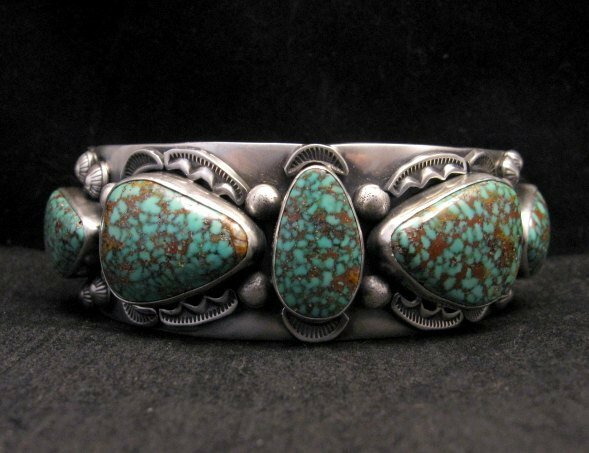 This one of a kind bracelet is a real show-stopper designed for a large wrist. 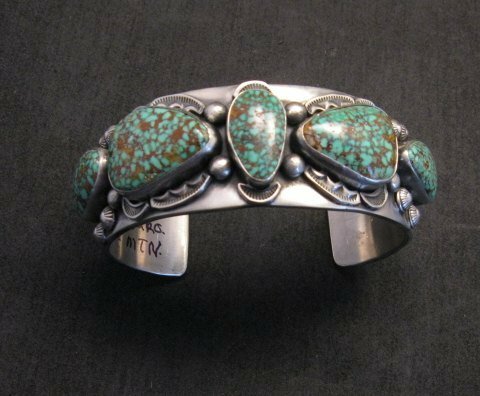 The natural untreated Turquoise Mountain stones are polished smooth and set in deep straight bezels. 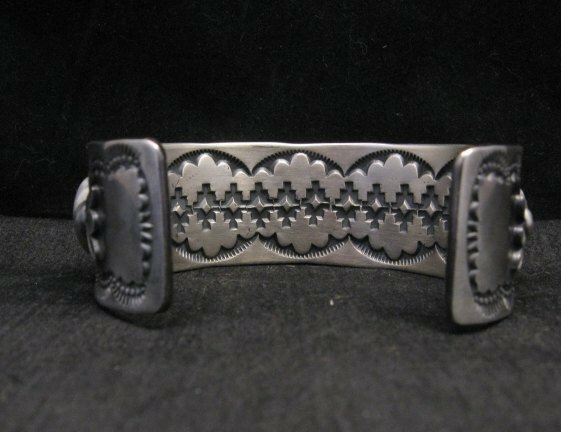 The outside and inside of the cuff are deeply stamped and covered with applied silverwork. 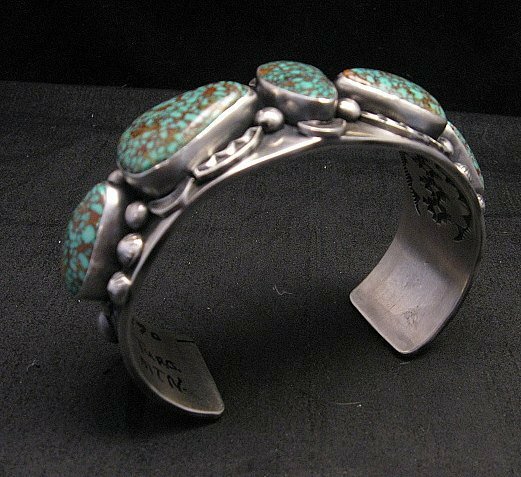 The bracelet measures a bit over 1 inch wide, with an inner end-to-end measurement of 6 inches plus a 1-1/2 inch opening. Weighs 120 grams, which is over 4 ounces! 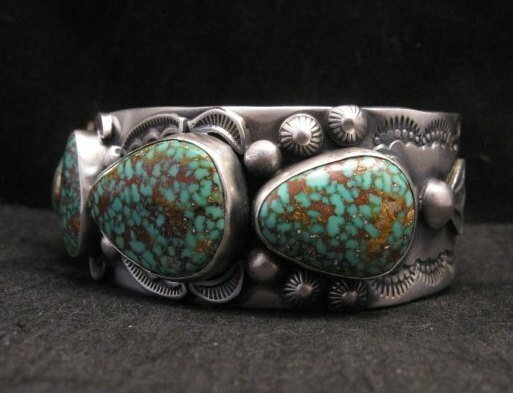 If you've got the wrist for this, you will love it. 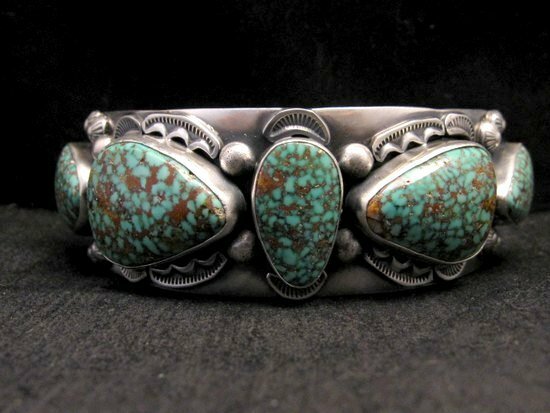 It needs to be worn tight to the wrist; given its weight, it shouldn't be and can't comfortably be worn loose to knock around. Brand new and in perfect condition. 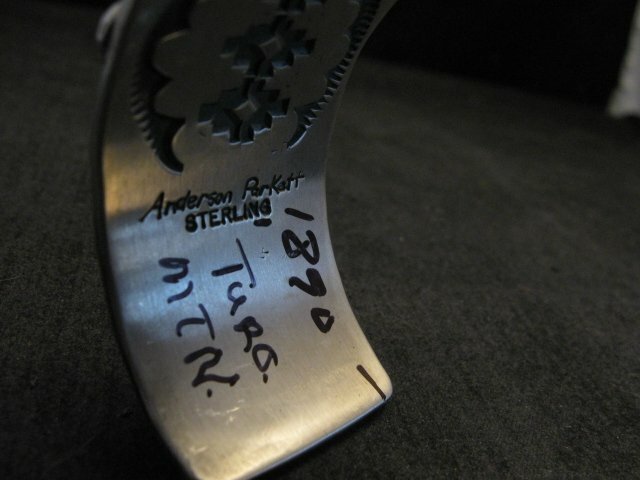 Hallmarked by the artist. Gift box and Certificate of Authenticity included with your purchase.